Travelers can be divided into roughly two groups: unpackers and those who prefer to plow through the bag. 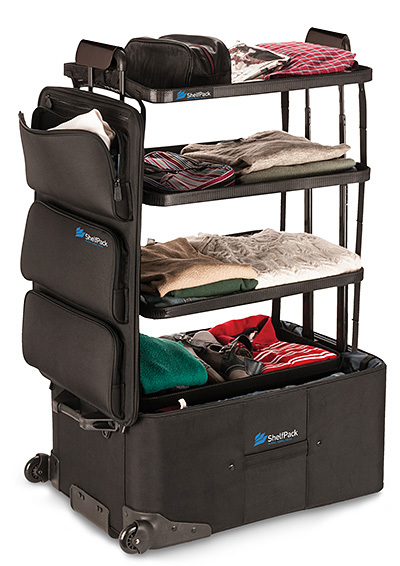 The ShelfPack splits the difference, allowing you to keep your clothes in the bag but also providing shelves for organization like no other. This spacious roller has 4 integrated, retractable shelves to keep everything sorted and 3 spacious exterior pouches give you easy access to your smaller stuff.